Some people find it ironic that i preach yoga, active lifestyle and healthy eating but yet i tantalize them with delicious (and also decadent) food from all my tastings and eating adventures. Well i think it works out perfectly for me. I compensate for all that gluttony with lots of work out and eating clean on weekdays, so that i can indulge whenever i want to. Well the main thing is to always evaluate your diet and its effects (it's usually physical). In my case, i've noticed that my hair has been falling out more than usual and i've been putting it off thinking that it's due to the constant tying of hair when i'm in yoga class and also that the heat from the hot studio is causing breakage etc. 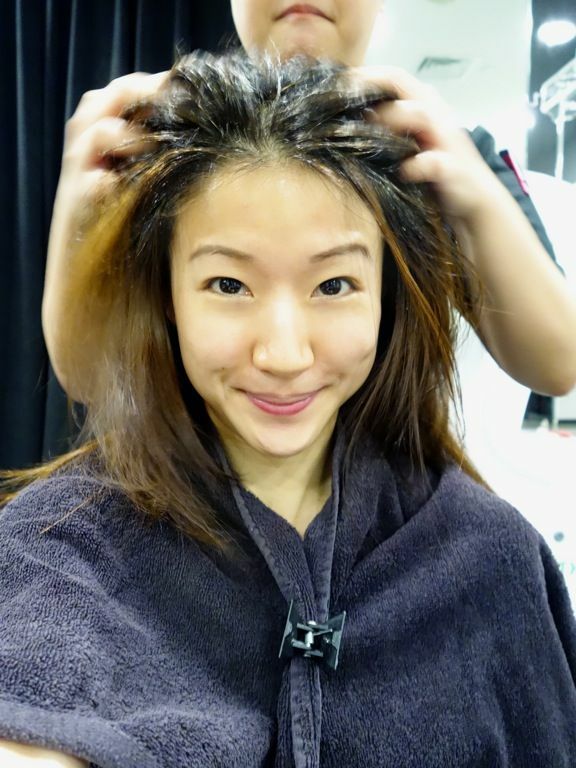 Well, i was glad to know that The DRx Medispa has a Hair Guru Peggy, who is the resident Trichologist to solve my hair woes! The Trichology center is located within The DRx Medispa (how convenient!). I knew i was in good hands when i met Peggy. Just look at that head of luscious locks! We chatted about my lifestyle and Peggy was relieved to know that i'm not that extreme a yogi in terms of my diet. I'm already taking in a lot of folic acid, Vit C and Vit A so the main concern was that i may not be taking sufficient proteins to prevent hair loss. You are what you eat. So yea! More meat in my greens now. Peggy then proceeded to scan my scalp to determine which are the problem areas. This is what healthy hair should look like. Thankfully my hair follicles at the back are still thriving! I was reassured that there is still hope for me. Haha. 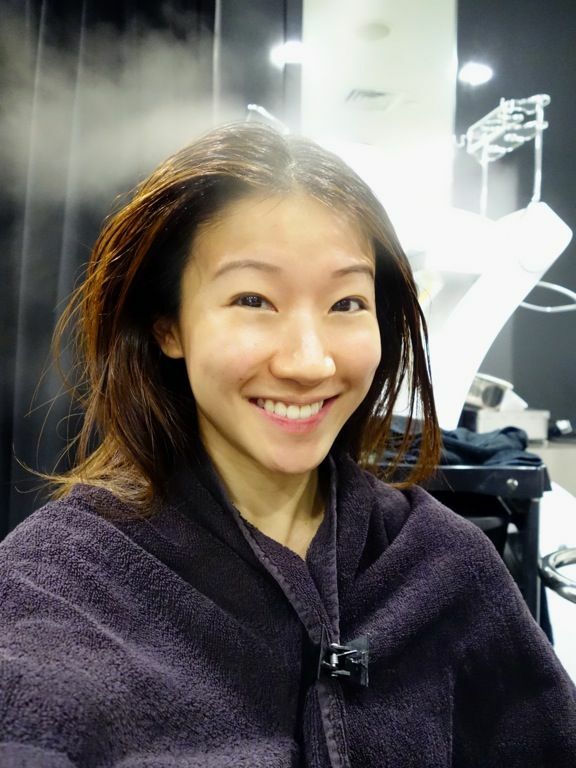 Peggy prescribed me with the Purifying Hair Treatment with Laser Therapy ($188 for 90mins) to clear up the gunk on my scalp. 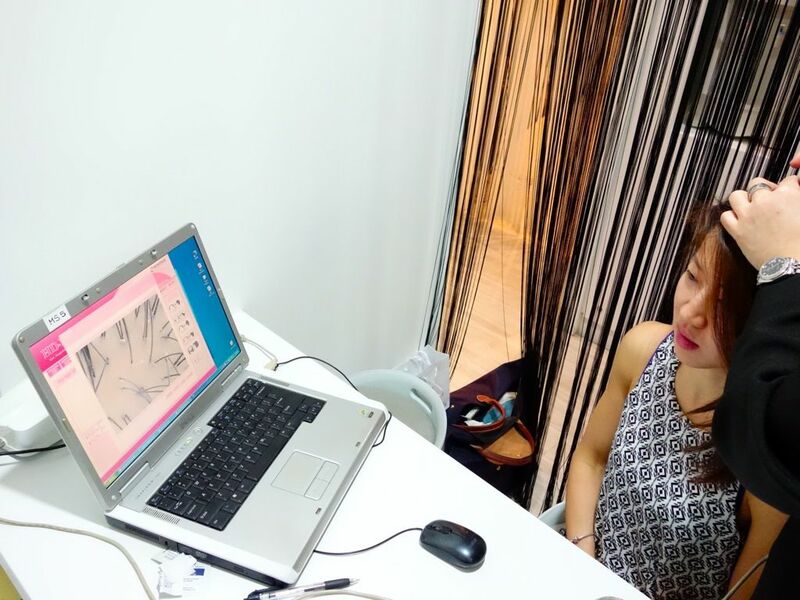 She also included the microneedle therapy to stimulate and promote hair growth and also to prevent premature hair loss. More on the needles in a bit! 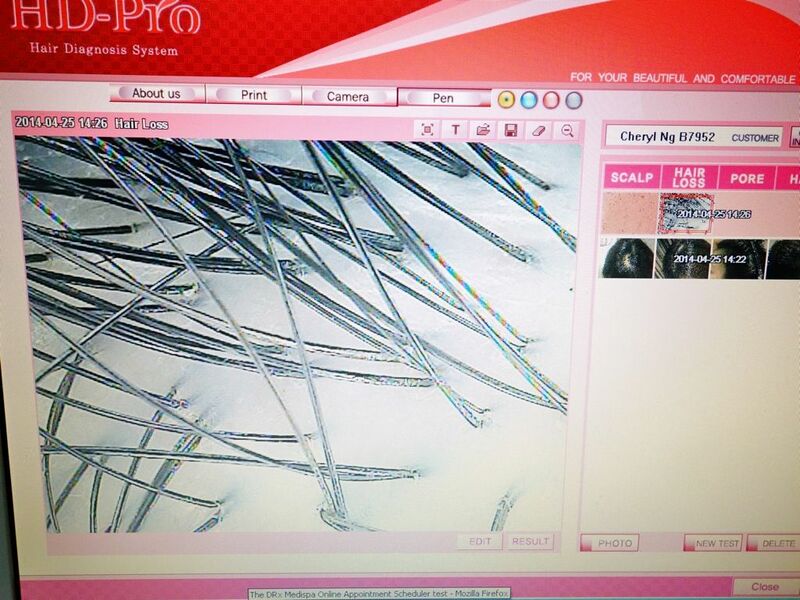 The Purifying Hair Treatment provides deep cleansing of the scalp. We started with the deep cleansing serum to exfoliate and loosen built-up scales and epidermis. 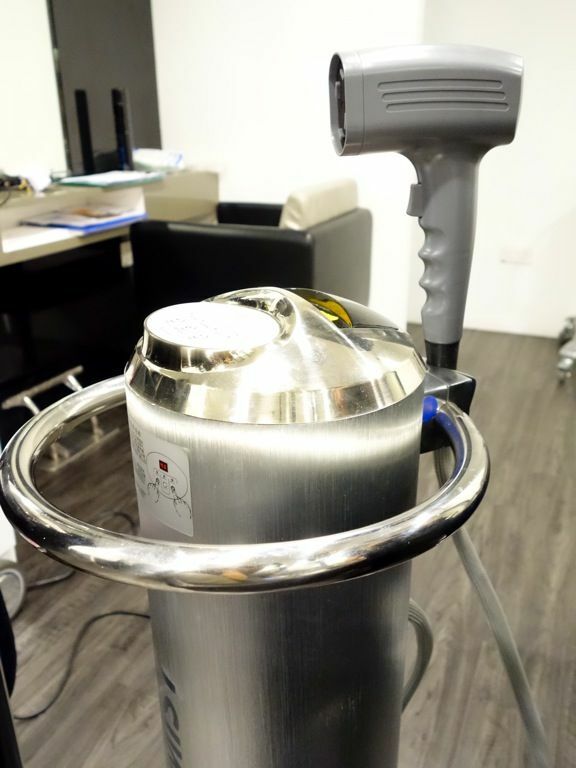 After which, warm steam/mist was directed to the scalp to enlarge the hair follicles for better absorption of the serum. The treatment draws impurities to the surface of the scalp and also helps to control excessive secretions for a clear and refreshed scalp! Now, the scary but necessary part! Needles!! 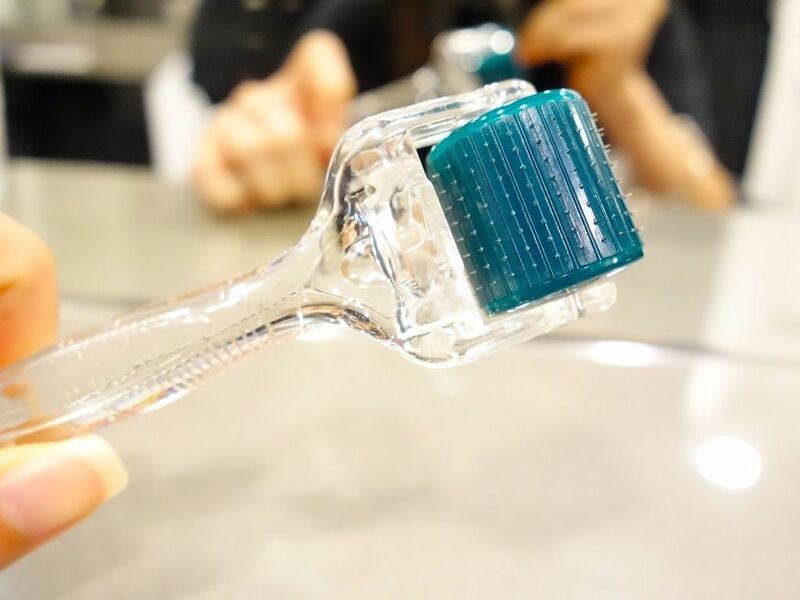 There are 192 0.5mm Titanium needles on this roller and the therapist would roll it all over your scalp for 15-20mins. Now the question is.. Will it hurt?? OF COURSE IT HURTS! They are needles hello!! I was squirming in my chair and trying to get away from the needles. The lady next to me obviously found me very hilarious. She did not even move a bit when undergoing the treatment and was chilling out with her magazine. But really, no pain no gain. I really want my hair to grow like a rain forest with thick and dense foliage and strong healthy roots. So yes, i'm ready for the next treatment. And apparently the pain gets easier with repeated treatment (it better be). 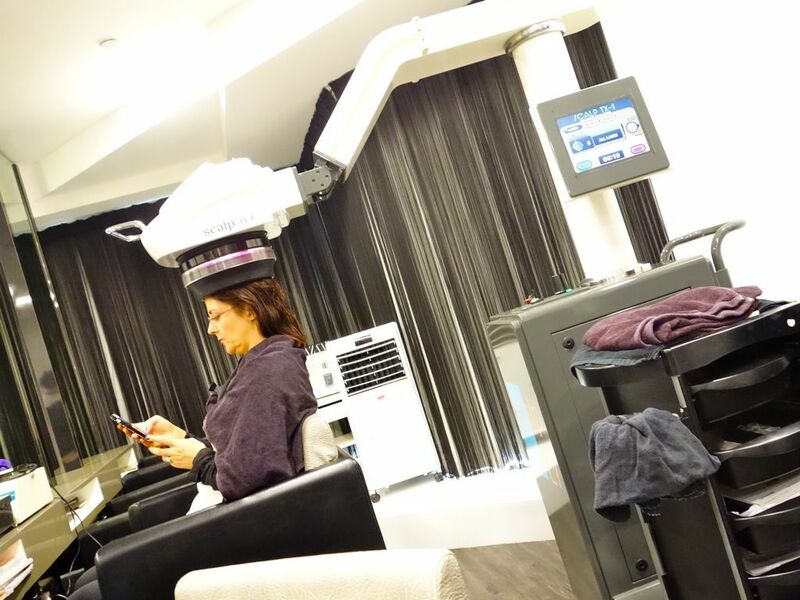 The treatment ended with a Low Level Laser Therapy (LLLT) which is a cool laser to relax the scalp. It also helps in improving the hair texture. 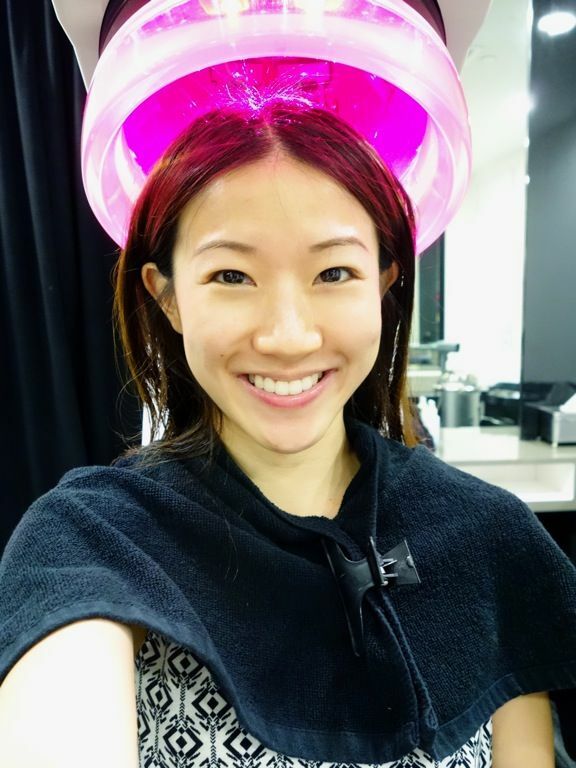 Another consultation after the treatment showed that my scalp is pink (which means that blood circulation has improved) and clean (less junk). 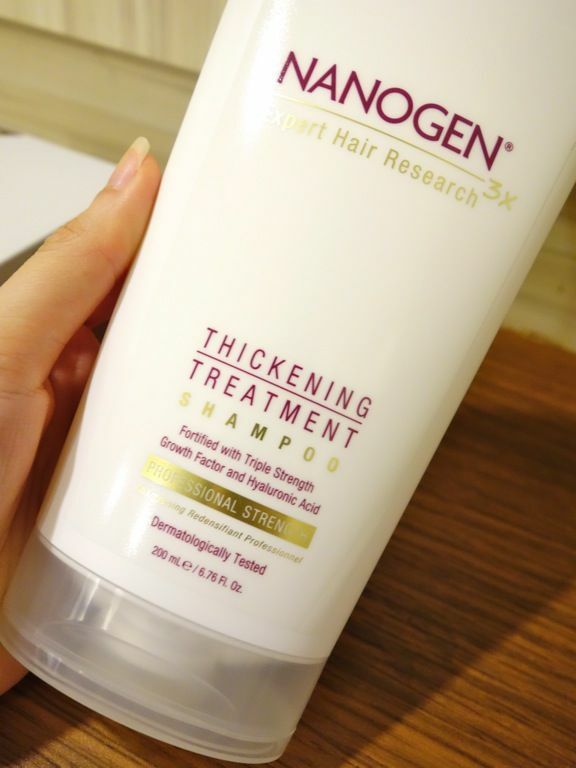 Peggy also got me started on the Nanogen Thickening Treatment Shampoo (200ml, $30). I love the cool minty sensation on my scalp when i use this! 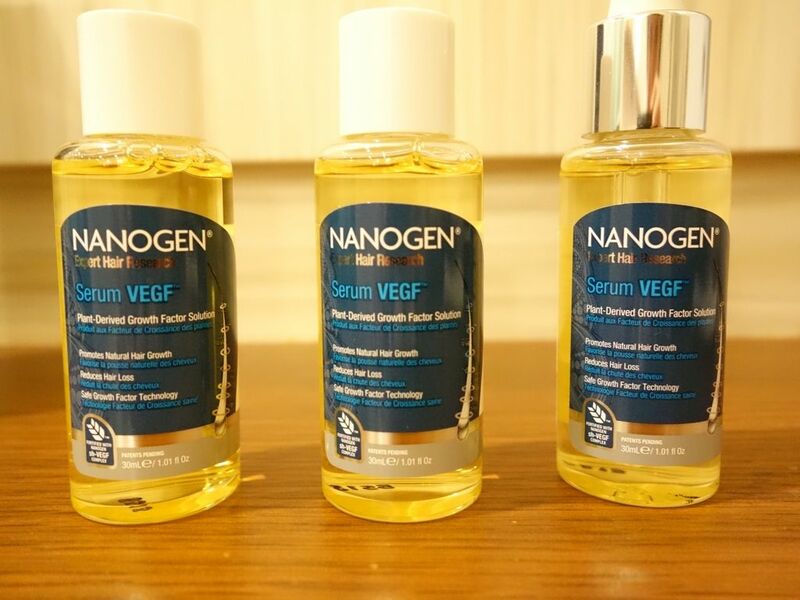 I also started on the 3 month Nanogen Serum VEGF Growth Factor Solution ($170 ) on the thinning areas. Hopefully we'll see effects when i go back for a review. 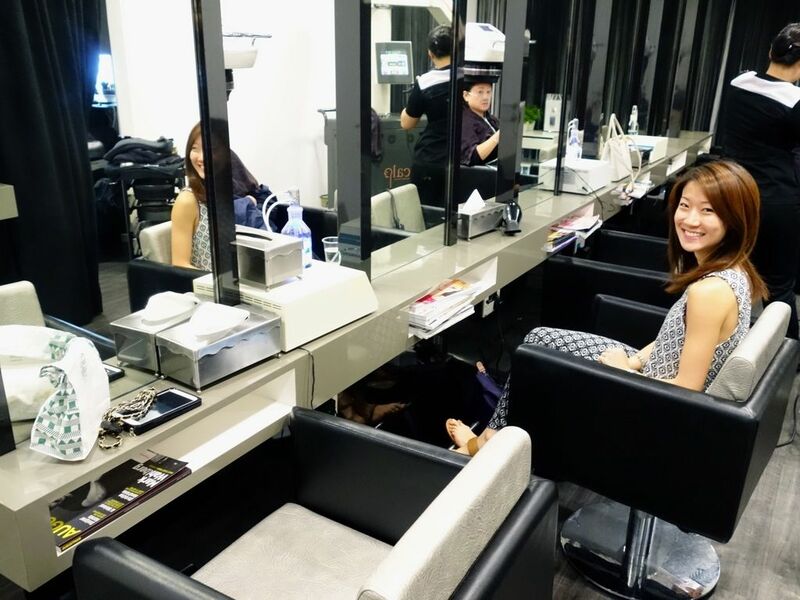 The therapist then used the Repit Brush Iron from Korea to curl my hair. It’s a heated brush and a tong combined in one and it gives you fast and instant curls that last! 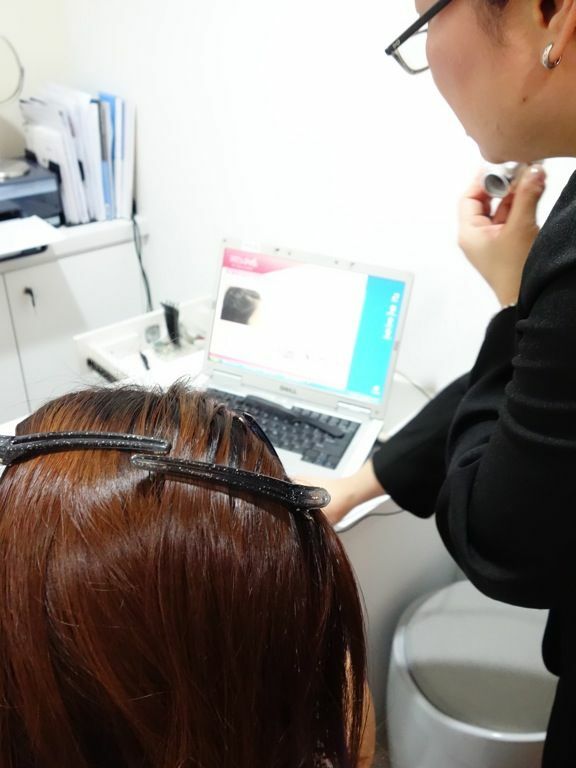 A visit typically involves a consultation with the Trichologists and is arranged 30 mins before your scheduled treatment. Subsequent consultations will be on a needs basis. Quote "Blogger Cheryl" for 40% off the Tricho Purifying Treatment (U.P. $188). Grow hair grow! I really appreciate your effort on sharing this useful information about hair loss.